Brand profile - “Crimson' is a brand which deals in bags and accessories which are very quirky, edgy and Chic. Our headquarters are based in Delhi itself. We believe in showcasing something unique and quirky. 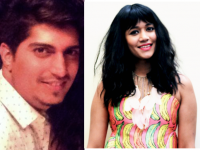 Designer/s profile- Crimson is a start up by the Duo, Pratishruti and Saksham Sachdeva. While Pratishruti is a Fashion Stylist from Pearl Academy of fashion,passionate about product designing, Saksham is an engineer from a business background and handles the same aspect. Crimson is a start up by the Duo, Pratishruti and Saksham Sachdeva. While Pratishruti is a Fashion Stylist from Pearl Academy of fashion,passionate about product designing, Saksham is an engineer from a business background and handles the same aspect. Out of stock products can be replaced within 5-7 working days. Products in stock can be shipped from our end within 2-3 working days.